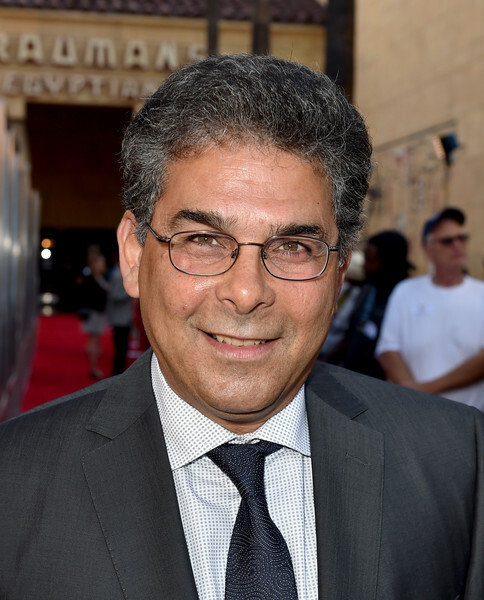 Dammaged Goods recently caught up with Sheldon Lettich, the writer, director and military veteran who has contributed to such cinematic classics Bloodsport, Lionheart, Rambo III and Double Impact. It was a busy summer for our friend and first event guest with Warner Brothers' dog of war flick MAX hitting theaters in June while Cannon Films documentary Electric Boogaloo premiered across the country and is now available on DVD. In October, Mr. Lettich heads to San Diego for the G.I. Film Festival for a special screening of MAX being held at the Midway Museum. MAX did solid box office, beating out titles with more hype and higher watt casts like Entourage, Aloha, Hot Pursuit and Paper Towns. Any expectations going into opening weekend? We were getting industry projections that it would make between $8-10 million for the opening weekend. Instead we made $12.2 million. The folks at MGM said they would be happy if the film grossed $40 million in the US. To date we've grossed nearly $43 million. So overall we're all pretty happy with the results. Had our PG-rated movie not been book-ended by two PG-rated behemoths -- Inside Out and Minions -- I think we might have done even better. Even so, MGM is in the process of developing a sequel with Boaz Yakin and myself, a sure sign that they're happy with the results. There's real heart in the film with the family and military dynamics. When was the first time you saw it with an audience? We had a test screening in November of 2014. The movie scored 100% in the Very Good to Excellent categories, which is an extremely rare occurrence for test screenings. It was a great experience for me to sit there with that audience (the first time I had actually seen the entire movie without interruptions) and to see and hear them reacting to the movie exactly as we had hoped they would, laughing at the gags and the funny lines, wiping away tears during the funeral scene. There was applause a number of times during the screening, and especially big applause at the end. You're getting ready to attend the G.I. Film Festival in San Diego with a screening at the Midway Museum no less, what did you take away from the U.S. Marine Corps that helped you in life and in your career? I took away a lot of stories and experiences which I have recycled back into numerous screenplays -- most of which have never been produced. I wrote a Vietnam screenplay many years ago titled Firebase, which I got a lot of mileage out of as a writing sample. That's the screenplay that got me introduced to Sylvester Stallone and resulted in an overall deal with his company. It got me the co-writing gig on Rambo III. Aside from story ideas and familiarity with military terminology, hardware, structure, mindset, slang, tactics, etc., as an NCO (non-commissioned officer) I learned some valuable lessons about leadership which came in very handy when I began directing movies. You also popped up in Electric Boogaloo: The Wild Untold Story of Cannon Films and attended the star and crew studded Los Angeles premiere. Do you recall how you got involved with Menahem Golan and Yoram Globus? As I recall, I was first introduced to them by Leon Isaac Kennedy, who was involved with them on Penitentiary 2 and Body & Soul. I had written a screenplay with Leon which was originally intended to be a sequel to Lone Wolf McQuade, the Chuck Norris film Leon had co-starred in. 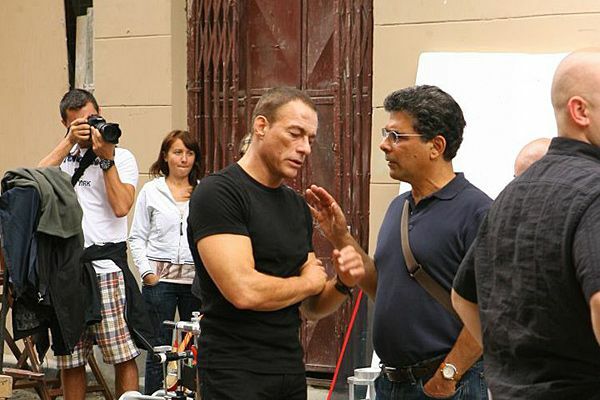 When he failed to get Chuck interested, Leon and I changed the title to Stryker's Force, and then tried to get the movie made at Cannon with Leon and Jean-Claude Van Damme co-starring. Menahem liked the script and approved me as the director, but he did not want Van Damme to be the co-star. This was before Bloodsport had been released, and at the time Menahem had little faith in the film doing well and even less faith in Van Damme ever making it as a movie star. He wanted to make the movie, but with Michael Dudikoff starring instead (with Leon playing the co-lead). I met with Michael, who had read the script but wasn't crazy about it. The project sort of fell by the wayside after that. Then, after Bloodsport opened and did spectacularly well, Menahem did a complete 180 regarding his opinion about Van Damme. Now he felt that Leon wasn't a big enough star to be the co-lead alongside Van Damme! I talked a lot about Menahem and Van Damme and Bloodsport when Mark Hartley interviewed me on-camera for the documentary. In fact, I told that same story about Menahem and Leon and Van Damme. Mark told me he had put together an entire segment about Bloodsport for the documentary, but at the last minute there was some kind of a legal snafu involving the rights to Bloodsport, and the lawyers at Warner Brothers told Mark he had to yank the entire segment. Really a shame. Bloodsport was one of Cannon's biggest surprise hits, but there's nothing at all about it in the documentary, except one very quick shot of Van Damme throwing a kick at Bolo Yeung. Who knows, maybe Mark will manage to sneak it in as a special feature on some future Blu-ray? You co-wrote Bloodsport and met Jean-Claude Van Damme, beginning a long and successful collaboration. What was it like in those early days? Did you feel like the film would be something special? 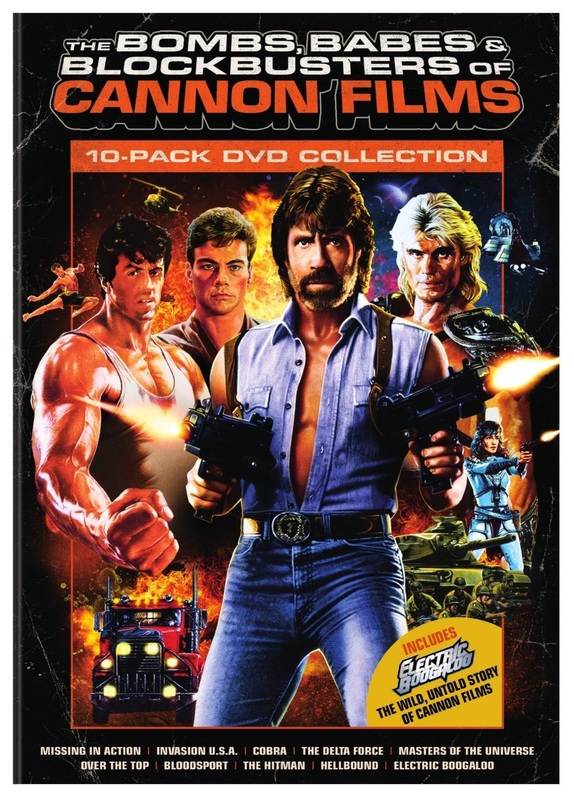 Jean-Claude and myself and many of the people who were involved with the film felt we had something very special on our hands, but unfortunately the folks at Cannon Films did not feel the same. Despite their misgivings, the film did spectacularly well when it was released. I had actually tried to bet Menahem that the movie would do better than his pet project at the time, Braddock: Missing In Action 3. His response to me was "You're dreaming, my friend!" Well, history had proven that my prediction -- my "dream" -- was correct. MIA3 grossed $6.2 million at the US box office, while Bloodsport grossed $12 million, almost double. Since then it has never stopped making money. I'm still getting residuals to this very day. Many thanks to Mr. Lettich for taking the time to chat, he's a great storyteller and be on the look out for more Dammaged Goods presents events soon. Until then, Sheldon will be appearing at the USS Midway Museum for MAX on Friday, 10.16 at 7:00 PM. The G.I. Film Festival runs Tuesday, 10.13 through Sunday, 10.18 and showcases documentaries, narrative features and films from local artists. Does Sheldon have a book out? I could read his stories all day long. Great interview. No book but be on the look out for some movie programs with his detailed notes soon!